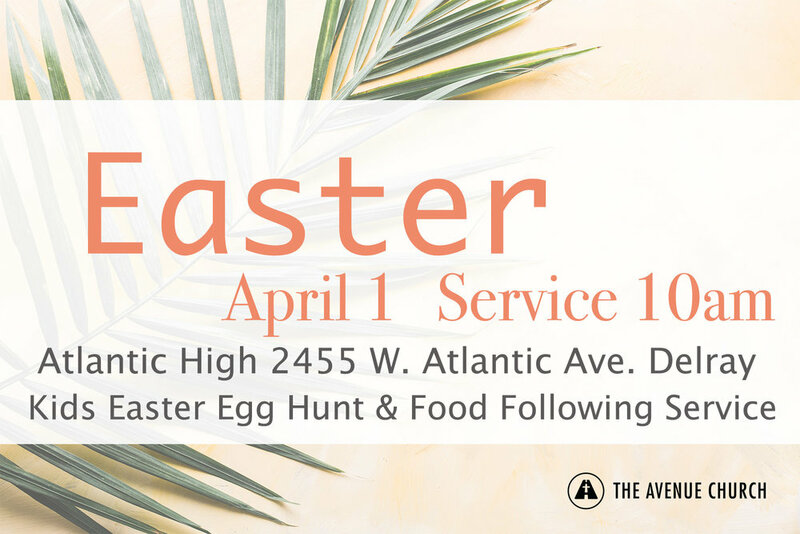 Join us for Easter Sunday service at Atlantic High School! We will have a kids Easter egg hunt and food following the service. We invite you to the Women's Gathering on Tuesday, January 31st to gain a fresh understanding of the meaning of abiding in Christ, bearing good fruit, and consequently demonstrating genuine faith. Come and volunteer at Catherine Strong Park and have a picnic to follow! Join us for a night of food, fellowship and worship! Child care is not provided but families are encouraged to come! Join us right after service in the courtyard and cafeteria! Delray Beach's annual St Patrick’s Day parade is Saturday, March 12th. We need you! We need adults to walk and hand out candy and invites to our Easter service. And we need awesome kids to ride on the float! Park at the Community Center parking lot or as close to there as possible about 1:00PM. Leave your car there and walk to the float - east on Atlantic. The parade ends near the CC, so at the end of the night you can easily walk to your car. The parade begins at 2pm! Most of the kids will be on the float and adults can walk or ride. We need lots of adults handing out our invites to Easter and the candy! Wear Green - go crazy! Find out here about ticket and sponsorship opportunities available. This year's proceeds benefit The City House! Must register by September 1!